This map, from the Columbia Gas of Massachusetts website shows the approximate boundaries of the project area. 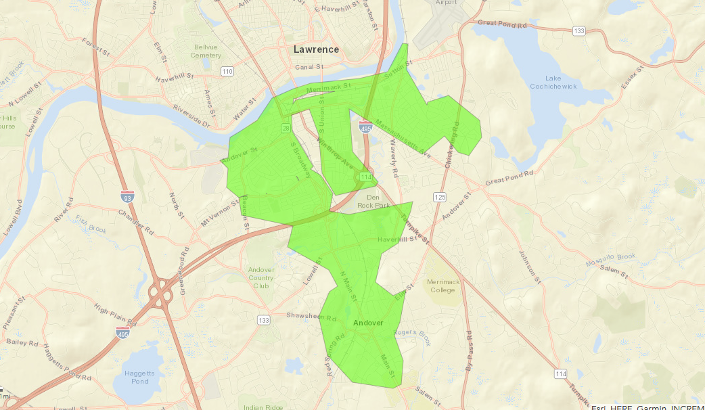 The investigation is ongoing and could take up to 24 months to determine why a section of Columbia Gas of Massachusetts’ pipeline in Lawrence, North Andover and Andover exploded on Sept. 13. The explosion, and resulting fires, killed one man, injured dozens and displaced thousand of residents in the Merrimack Valley communities in the Northeast section of the state. The National Transportation Safety Board (NTSB) is handling the federal investigation into the explosion. In a Sept. 15 press briefing, NTSB chairman Robert Sumwalt said that the investigation could take 12-24 months to complete. He also confirmed that the NTSB is investigating an over-pressurization of the line, which occurred at about 4 p.m. on Sept. 13. On Sept. 16, Columbia Gas and its parent company NiSource Inc. announced that it was committed to completely replacing the entire 48-mile cast iron and bare steel pipeline system in the towns of Andover, Lawrence and North Andover with state-of-the-art plastic distribution mains and service lines, and modern safety features such as pressure regulation and excess flow valves at each premise. 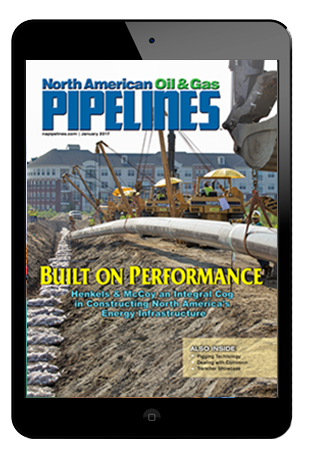 Columbia Gas of Massachusetts is in the midst of a multiyear program to modernize its gas distribution system and replace cast iron and bare steel pipeline systems across the state. The company has since announced the next phase of recovery and replacement activities for the Greater Lawrence Area following the Sept. 13 explosion. To assist with the next steps in the recovery effort, Massachusetts Gov. Charlie Baker has activated the National Guard to support delivery of hot plates and provide resources for the assessment team.